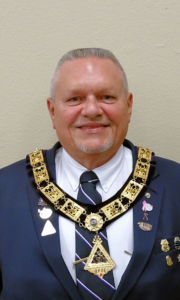 Greetings, I would like to take a moment to thank everyone for the Great Opportunity to serve the 2019 – 2020 Lodge year as your Exalted Ruler. I will serve to the best of my ability, to assure that each member will be proud of their decision. As the 2018 – 2019 Lodge year has come to an end, I would like to thank our newest Past Exalted Ruler, Vicki Baker, for a great year, and to let her know that it was both a pleasure and an honor to serve as her Leading Knight. I would also like to thank all Officers, Trustees, Committee Chairpersons, and Committees for all of their hard work to make sure that the past year was a success! With that said, I look forward to our new lodge year, and all of the exiting, and fun filled events that it will bring! There have been a few changes, but I know that our members will work together and continue the Great work that Elks do. Our volunteers are second to none and work hard to make sure every meal and/or event runs smoothly. I hear Sher Thrush say often “It takes a village“. And I believe this to be true. I thank all who help out and encourage others to get involved. I have complete confidence that our House Committee will have us filled with fun and exciting events, delicious meals, and great entertainment! I know our Board of Directors will continue to keep us in great financial shape and in a well-kept building that we call home. I encourage you to bring in family and friends, etc. and show them around the lodge. Show them why you enjoy being part of the Elks Organization. Who knows, we might even gain some members. I also ask that when you see a visiting Elk or a face you don’t recognize, introduce yourself and help make them feel welcome. Once a month we have the visiting Veterans come to a Wednesday dinner. I encourage our members to attend these dinners, greet these Veterans, and let them let them know that the Elks care about them. It takes a little time and goes a long way toward making these individuals feel good. 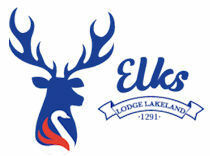 Remember, Elks Care. In closing I want to remind everyone that the 2019 Fl. State Elks Convention is just around the corner. It runs from May 23 – May 26. It is held at the Orlando World Marriott. Make your reservations or come for the day. I assure you that you will have a good time. With that said, come to the Lodge, have some laughs, enjoy some drinks, and see some friends! Thank you. As always, I’ll see ya around the Lodge.